For A Professional Window Services, Contact Us At Roofworx Today! Roofworx offers a wide range of services from new construction to window replacement for both commercial and residential projects. We provide the perfect blend of visually pleasing and functional windows. Window quality and technology has significantly changed over the years. Does your home need a quality, professional service? 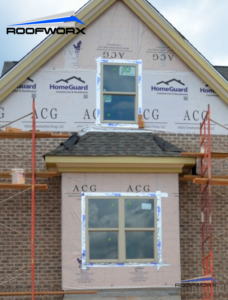 There are several window solutions available, whether you are looking for a replacement windows or are a builder looking for a reliable window installer for new construction. Contact us today 817-920-5974 to speak to a window expert for your commercial or residential window requirements in Fort Worth and Dallas, TX. Window Installation A properly installed roof can last for years and withstand weather and physical damage with proper maintenance. Window Styles and Types We offer a complete selection of window styles and types to meet your needs. Is your business or home in need of new or updated windows? Contact us today 817-920-5974 to talk to us about commercial and residential window services at Roofworx & General Contracting in Fort Worth and Dallas. Does your home or business need a new windows? Have you noticed deterioration over time and are needing experts to help resolve it for you? Let the experts at Roofworx help you with your commercial and residential window problems, give us a call today 817-920-5974 to talk to our professional window installation team and get a free estimate. We are available for commercial and residential window services in Fort Worth and Dallas, TX. Updated on March 25, 2018 at 11:05 am by Roofworx & General Contracting.